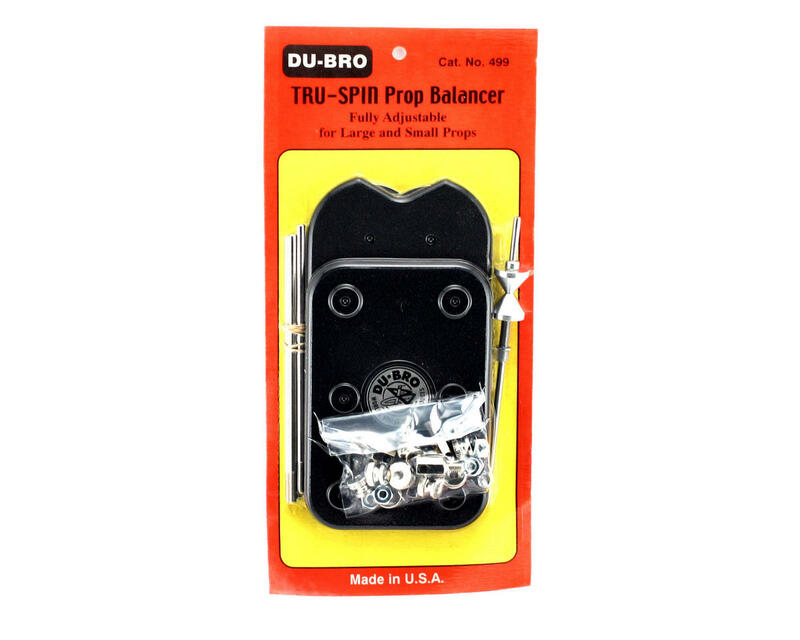 This is the Du-Bro Tru-Spin Precision propeller balancer. Using this propeller balancing adapter you can quickly and easily balance both small and larger propellers for all your airplanes. 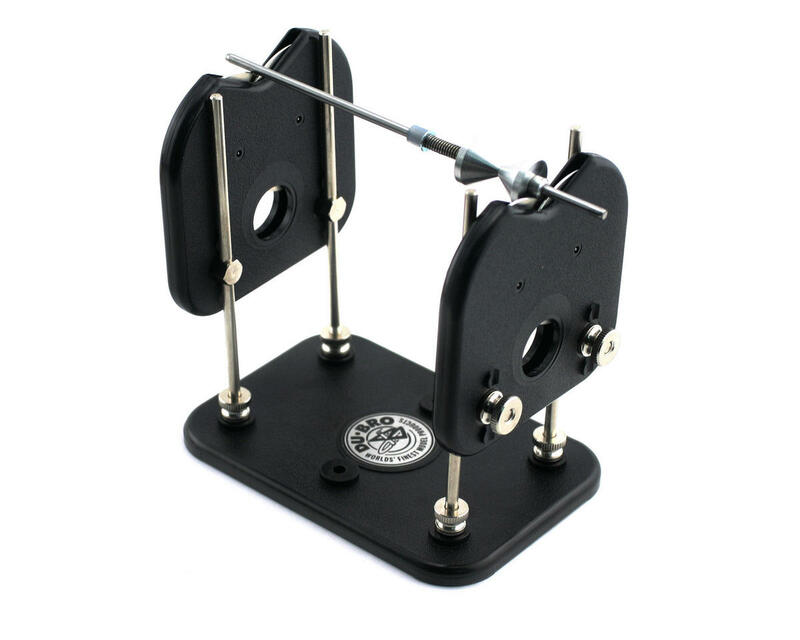 This unit also makes a great off-road wheel balancing device when coupled with the Innovative Designs 1/8th scale off-road wheel balancer (INDMA1501). Bought this to balance my plane props as well as my 1/10th SC10 shortcourse truck tires. Works perfect, almost too precise in it's ability to balance! I use DAP Bluestik from home depot to balance, no need to buy the clays. This is a very cool tool that is often overlooked, especially for truggy tires. An unbalanced tire can shake your vehicle dramatically, causing excessive wear on all the suspension components as well as unwanted behavior on the track. You don't need the 8th scale adapter mentioned, just mount the wheel to an extra 17mm hub & nut and chuck the whole setup onto the balancer. Be prepared to add quite a bit of balancing weight to truggy tires (clay works good). Also, I use the offset balancing method shown on back of package, using one end on upper & the other on the lower balancing wheels. That way, you get a true balance. Very nice tool. I am still leaning the art of propeller balancing but with you tube and this guy I know I can do it. Can be set up different ways I have used it for a 6" to a 18" prop all with no problems. Bought this as my first boat prop balancer. Works well so far! Balancing your tires is the difference between a pro and an amatuer....without balanced wheels, you might as well forget every tuning settings on your car because with major imbalance comes an uncontrollable car. When you balance the wheels correctly, it makes setups so much easier, driving much more consistant, and this item will do it perfectly. Dont get the adaptor, just use a spare hub and nutt to place your tire on the shaft. I would really suggest this for truggy and buggy only.This is a good product. totally helped me with unbalanced truggy tires, results are 100 % improvement. This balancer was really made for airplane props... not for wheels. My stock ERevo Tylon tires would not even fit without rubbing the sides. Completely and utterly useless. I would have to frabicate another base and move the sides outward. If this were $4.98 I would consider that.. but for close to $30.00 I'm not spending another dime on it. This is coming right back to AMain.